Devart ODBC Driver for Oracle: "Hands on review by an automation tester"
We have been using this tool for a couple of our pilot projects mainly for automation testing. We have used other ODBC drivers and have seen connection failures while running the automation script. Once the automation script fails, we will have to restart those tests right from the beginning which is a waste of time. After using Devart we have not seen such failures. It has been working extremely well and is really helpful. Far less connection failures. We had a lot of failures with the tool that we were using before. High performance and new features are really useful. Direct mode connectivity seems to make the difference that was very much needed. Works very well with Oracle Database 10g. It would be good if the connection details are stored on the cloud based on the user login so that even if the software is corrupted, it can be pulled in automatically from the cloud upon reinstallation. It would great if video demos were available for the key features of the tool. That would make it a lot simpler for the user when using it the first time. User friendliness can be improved. We are using it mainly for automation. We are using HP Quality Center as our automation tool and started using Devart ODBC for connectivity to Oracle DB. We have a lot of queries in our scripts that make several connections to the db for a particular user scenario. Devart ODBC has improved the overall runtime needed for the scripts. 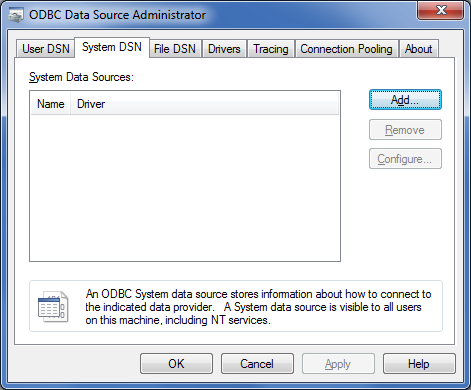 Devart ODBC Driver for Oracle provides a high-performance and feature-rich connectivity solution for ODBC-based applications to access Oracle databases from Windows, both 32-bit and 64-bit. The vendor says its full support for standard ODBC API functions and data types implemented in their driver makes the interaction of database applications with Oracle fast, easy and extremely handy.